I’ve had quite the experience with over the knee boots. I think my search began in early 2015 and I’ve maybe tried 10 different styles. I’m still open to trying different brands and styles that come out, but for the most part I’ve found my favorite and I’m sticking with it (more on those later on). 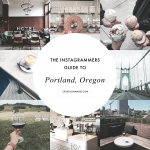 In this post I’m going to give you the rundown of everything I’ve learned through my search- what works, what doesn’t, how to style them, what’s worth the investment, and what isn’t. 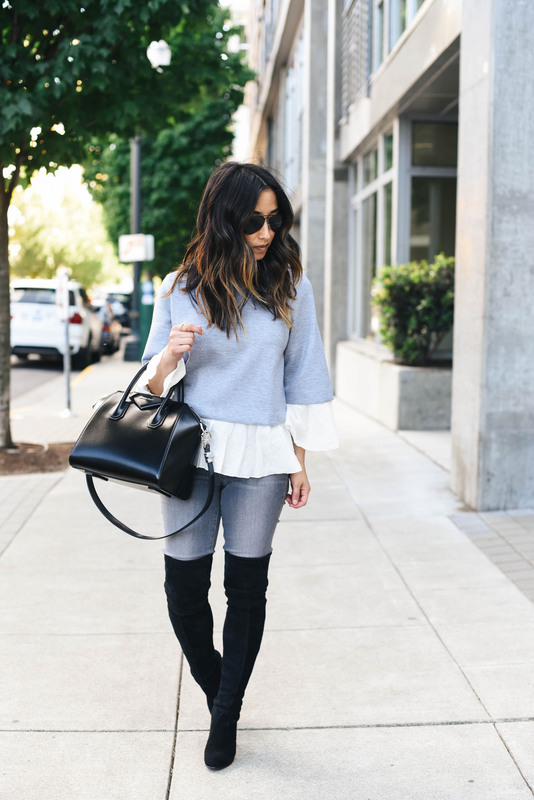 If you’ve been wanting to invest in a pair of OTK boots or are looking for ways to style them, this post has your name written all over it! 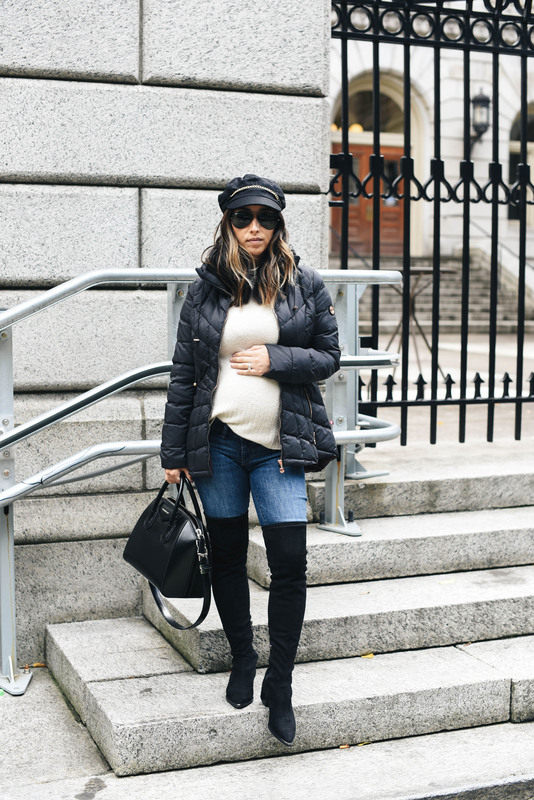 Let’s first talk about why over the knee boots are a fall and winter essential. You’re probably thinking, okay this style is just a trend. Well ladies, they’ve been popular and on-trend since 2015 and I have a feeling they’re going to stay. One of my favorite things about OTK boots, they’re extremely flattering. If you don’t think so, you probably haven’t found the right pair. I’m petite with short athletic legs, and they do wonders for my legs. Flat or heeled, they elongate my legs and make me look taller than I am. They also elevate just about any look. 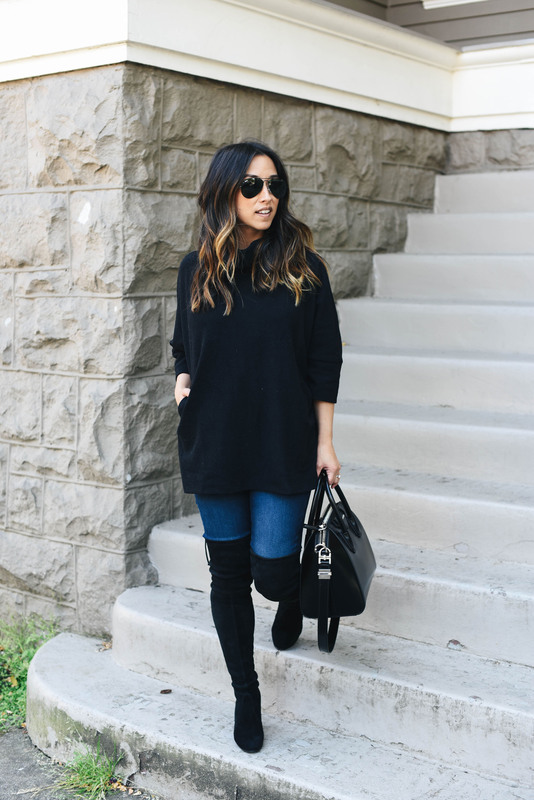 Looking to dress up an outfit without wearing heels – throw on a pair of heeled over the knee boots. They’re also a great alternative to open toed heels or pumps during the cold months. You can pair them with dresses or skirts and still feel warm and covered up, while still going for that dressed up look. And lastly, over the knee boots are just so easy to wear. For an easy, no fuss outfit, pair them with skinny jeans and a cozy knit and you’re good to go and looking all festive for fall. 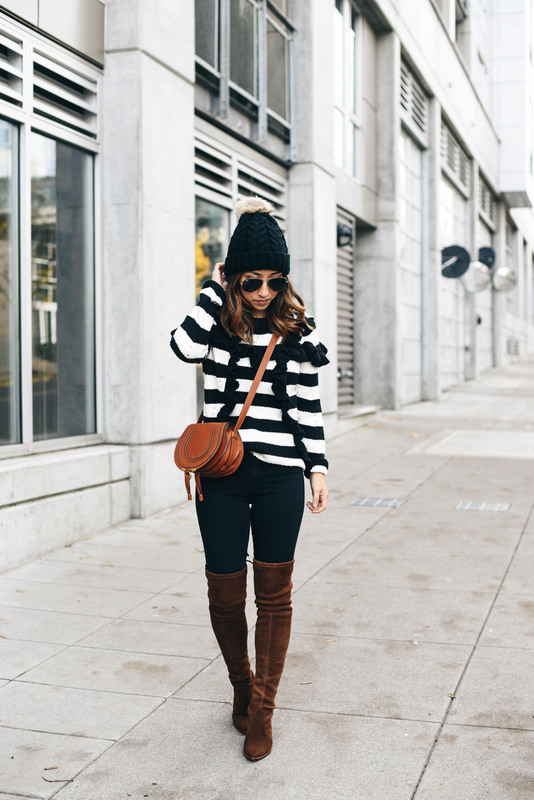 2 things to keep in mind – all over the knee boots will fall down just a bit because of movement. Best way to tie your OTK boots, have someone else do it. I have Mike do them for me and they stay up and tied way better than if I do them myself. Not all over-the-knee boots are created equal and you have to know it’s really all about shaft preference. The shaft of the boot will make or break the boot. In general, you want the shaft to be narrow, but comfortable. This is a must, if you’re petite or have athletic legs. 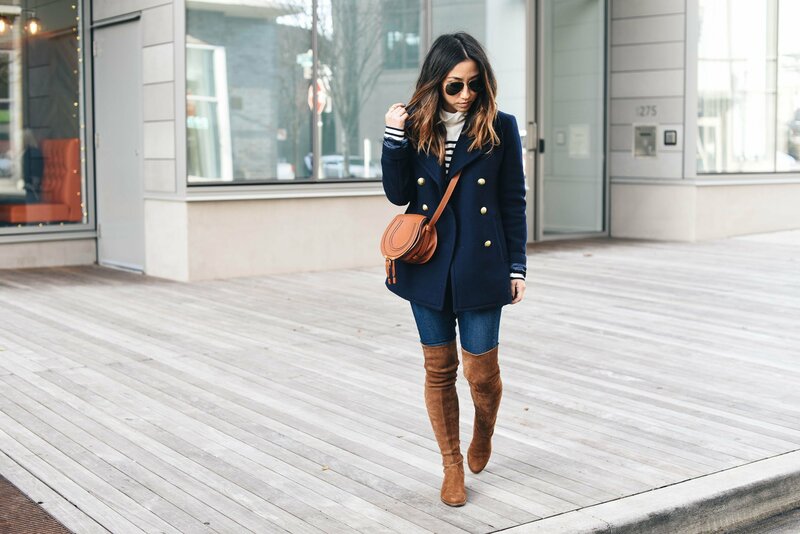 When the shaft is made with thick material or tends to slouch, you’re legs will look thicker than they are and make the boots look really unflattering. If you’re tall and/or have long legs, the sky’s the limit, lol. Obviously, knowing whether a boot has a thin or thick shaft is hard to tell online, so either try them on in person, or be prepared to make a couple returns before finding your perfect fit. Material – Are the boots made of leather or synthetic materials? Depending on what you’re looking for or willing to spend, this plays a major role. Know that leather boots tend to last longer and become softer and more comfortable over time. Are they comfortable – Are they easy to walk around in? Is the heel too high? You want to be able to reach for your boots a lot during fall and winter, so make sure they’re comfortable. Are they easy to get on and off – This is one of the more important elements. If you’ve ever owned a pair of boots that are really hard to get off, you know how important it is to find something with a little more ease. Trust me, your boots will end up sitting in your closet if getting them on and off is more of a struggle than anything else. How comfortable is the heel? – Don’t buy boots with a high heel that you know you’ll end up not wearing. Boots are made for walking, so walk around the house and make sure they don’t hurt your feet. Does the shaft stay up – After 10 different pairs of OTK boots, you must know, the shaft will fall down slightly just from movement and walking no matter what, but a narrow shaft and pull ties will help keep them up. If the entire shaft falls down while walking, don’t even bother. The OTK boots that only slightly cover your knees with an open slit in the back (like these) might have a better chance of staying up as well. Do they elongate your legs? 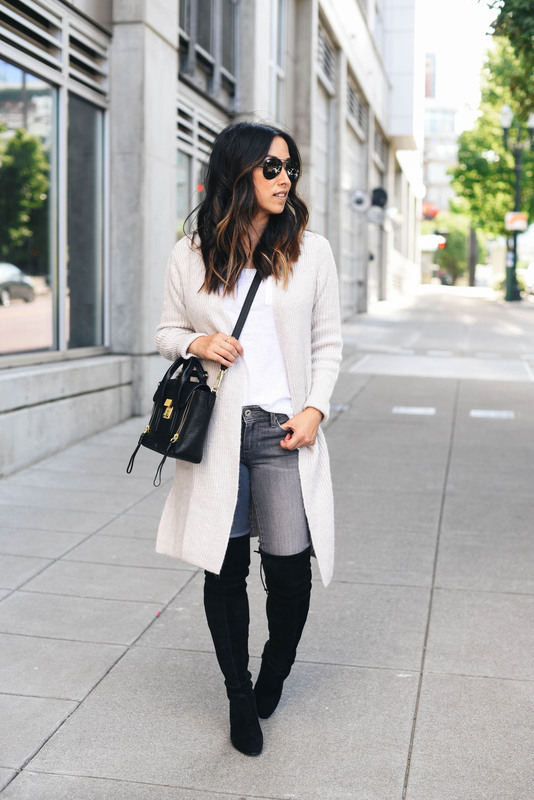 – Thick, bulky shafts are a thing, so make sure you find a pair of boots that are flattering on your body. You want to be sure you try OTK boots on in-store (or at home) with an outfit you would normally wear with them. See how they look and make sure they don’t overwhelm you. Shaft Height – If you’re tall, you may want to look for something that hits mid thigh. If you’re short, you may want something just above the knee. You know it’s the wrong fit when bending your knee becomes hard to do (good luck sitting), or the boots go all the way up your leg. 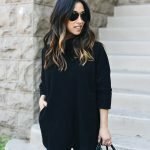 Sweater Dress – This has been my favorite way to wear over the knee boots this season. It probably has something to do with my huge pregnant belly, haha. No but in all seriousness, sweater dresses look the most flattering, in my opinion, with some sort of tall boot. 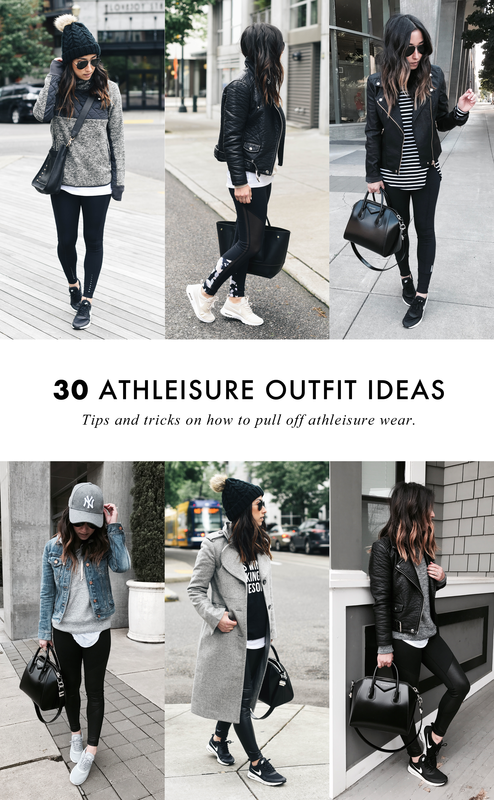 You’re covered up enough to handle the cold weather, but showing enough skin to keep things elevated and dressed up. Poncho – I think this is a proportion thing. 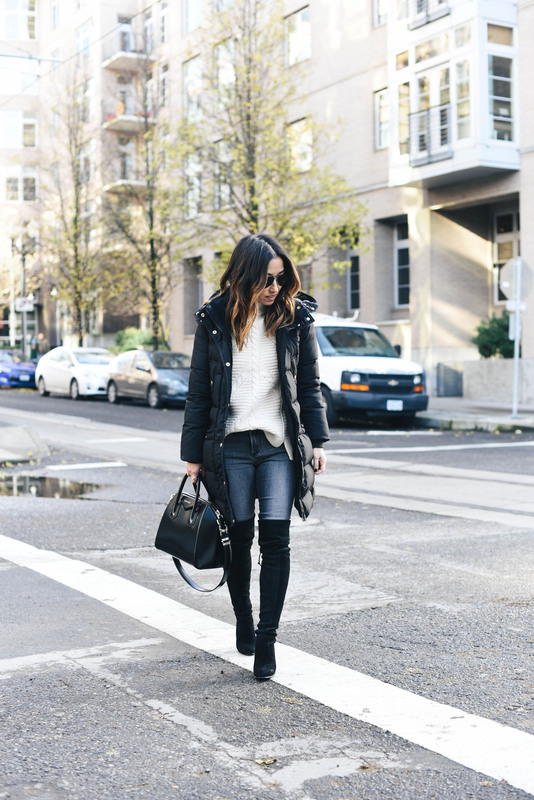 Whether you pair your poncho and OTK boots with leggings or skinny jeans, you can’t go wrong. Ponchos drape beautiful with the long narrow silhouette which the OTK boots create. Skirts – I love a good denim skirt to get in the fall spirit or you can even go with a midi skirt. Skirts are a great way to show how versatile over the knee boots can be. 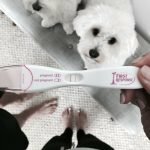 Maybe more unexpected, but certainly a way to go, especially when the weather permits (those sunny fall days). Flat – more of an everyday boot. Mid thigh (like these, these, or these) – these work great for those with long legs. Sometimes just over the knee land in awkward spots for them, so they opt for the mid thigh options. Just above the knee (like these, these, or these) – these are great for petites or for those having issues with the shaft falling down. Pointed Toe – More trendy and sophisticated. Not for everyone. 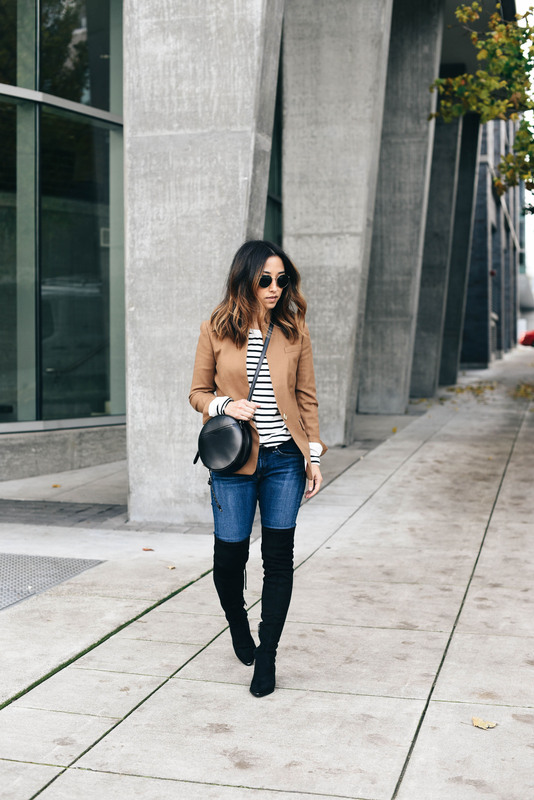 Now let’s talk about the Stuart Weitzman Highline over-the-knee boots (formerly called the Highland). I had been wearing my black Marc Fisher flat OTK boots a ton and realized how well they worked in my wardrobe. I love black boots paired with dark blue and gray denim, both of which I reach for a lot in the winter. Since I was wearing my flat boots so much, I thought it would be nice to have an alternative, high heeled pair to create more elevated and dressier looks. I’m so happy I decided to invest in these because I’ve already worn them A LOT (definitely getting my money’s worth). While they’re not the most budget-friendly option, nothing has really come close to the quality and look of Stuart Weitzman. The minute I slipped into these, I knew I couldn’t look back. The medium weight stretch suede is incredibly soft and comfortable. They’re form fitting without being constricting and they’re beautiful in person. Hands down the most comfortable OTK boot I’ve tried AND the easiest to get on and off. They do run ½ size big, so I would recommend sizing down. The 4” heel height is high, but not uncomfortable unless you’re on your feet all day. These are definitely an investment piece, but if you know you’ll wear them, they’re 100% worth it! First and foremost, the gray color and suede on these Cole Haan Marina boots are beautiful. The suede is actually pretty thick, which I usually stay away from because they make my legs look quite large, but the shaft is so narrow, it works. Considering I’ve complained about every over the knee boots having such wide shafts, these Marina boots make up for it’s counterparts 1000 percent. Thankfully, after a couple wears now, I’ve noticed the leather stretches a bit and conforms to your legs. The boot also hits at a very flattering height on my thigh and the 3.5” heel make them really comfortable and wearable all day. Although the Marina boots are from a couple years ago, there’s still some sizes still in stock (and on sale!). I would suggest sizing up a full size. Since my search for the perfect pair of OTK boots has been about trying and experimenting with different brands, I also want to share my feedback on the Marc Fisher LTD Yenna OTK boots. With the Yenna, I was immediately drawn to the pointed toe. I know this style is not for everyone, but I happen to think they help elongate my legs even more than a round toe would. The leather is not has plush as I thought it would be (just from wearing some of the brands other shoes), but I think this is expected at this price point. The shaft circumference does run narrow (probably can’t wear thick socks). This can be a good thing for some, and bad for others. My calves are athletic, but I’ve noticed if the shaft is too bulky, they tend to make my legs look really unflattering. So yes, the shaft is form fitting making my legs appear longer than they are, so for me, I don’t mind a little snugness. I think with any OTK boots, the shafts will fall down slightly just from movement and walking, but in general, the combination of the pull ties and narrow shaft really help keep these up. I’ll definitely get a ton of wear out of them and I think they’re a great option at just under $230. These Dolce Vita Neely boots are beautiful in-person. Their smallest size is 6, so they are slightly big for me (I wear a size 5). The quality is great for the price, so I would definitely recommend these for those of you who are a size 6 and above and slightly taller than me (I’m around 5ft). They’re super comfortable right out of the box and the ties in the back help keep the shaft up. These really do look similar to some of the more expensive options out there, but for 1/3 of the price. *Review Update – after trying many different brands, I would say the quality on these are most comparable to Stuart Weitzman. The suede is soft, plush, and have a good weight to them. Your OTK boot outfits are always my favorites! Just scheduled a bunch of these to Pinterest! I bought the flat Kaitlyn Pan boots on Amazon a few weeks ago. I didn’t want to spend a ton of money because I don’t get a lot of wear out of longer shaft boots living in Southern CA. I did not have high expectations at all because of the price point, but these boots were definitely a pleasant surprise. The material is super soft and cozy and they do not slide down AT ALL! Also, I am 5’9 and they are actually thigh-high, rather than hitting me at an awkward barely over-the-knee or mid-knee spot. I would definitely recommend these boots for those who can’t justify the Stuart Weitzman investment. I’ve never experienced the true beauty of knee boots until this artilce. Well done.